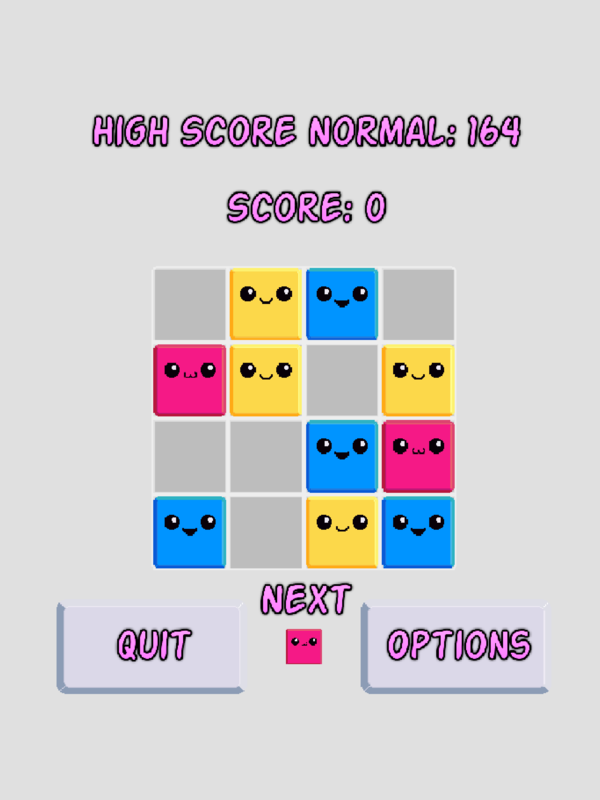 A fun simple puzzle game. 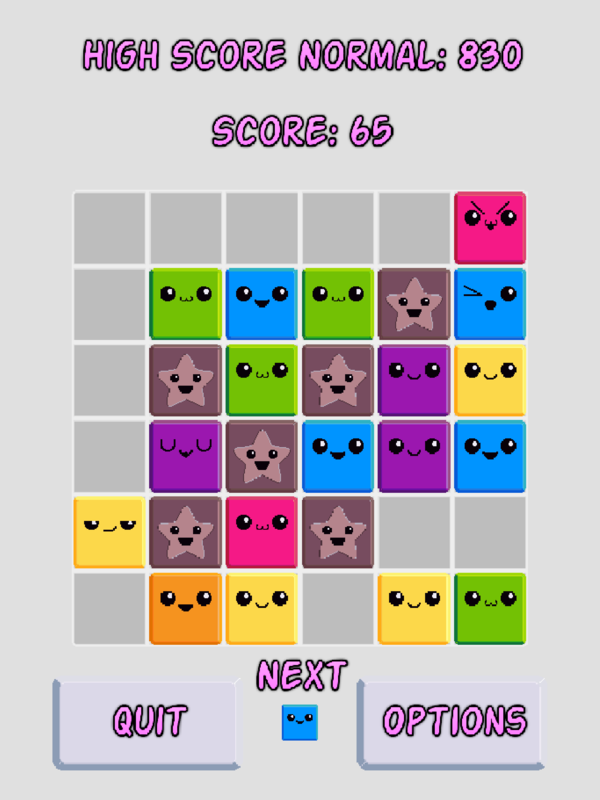 Swipe to combine colored tiles to make new colors and score points. Combine primary color tiles to make a secondary color tile. Combine a secondary color tile with its primary opposite to make a brown star tile. Combine two brown star tiles to clear them. 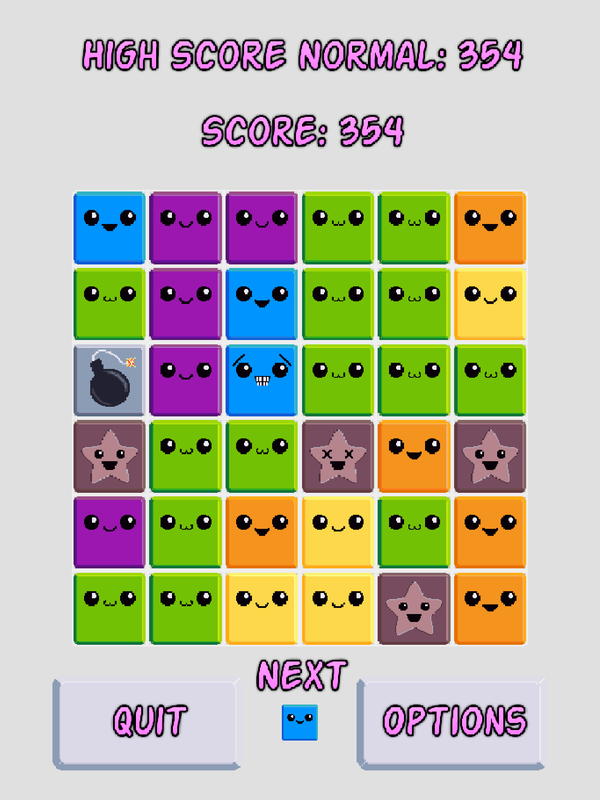 Use special bomb tiles, twirl tiles and triple tiles to destroy or change secondary tiles. See how many points you can score before you run out of moves. There are currently no trailers available for Rainbros. Check back later for more or contact us for specific requests! 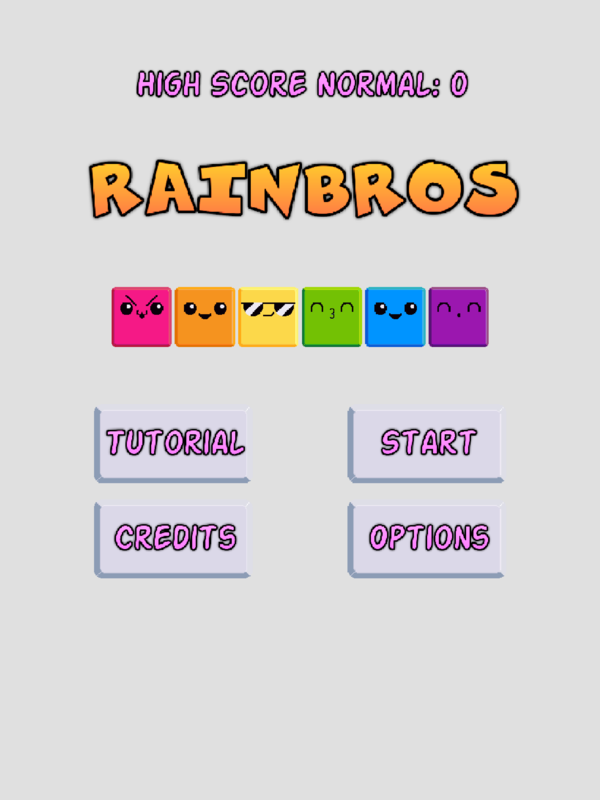 There are currently no logos or icons available for Rainbros. Check back later for more or contact us for specific requests!